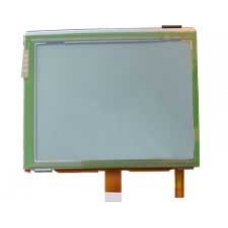 This is a complete replacement iPAQ screen unit for the H3100, H3130, H3135, H3150 monochrome units. This spare part includes the grayscale monochrome (TFT) LCD, the touch screen, please note the electroluminescent backlight is also included with this complete iPAQ screen part. If you have broken or cracked the LCD display and can see black ink bleeding inside the screen, you will need to replace..